As it stands, the fire has claimed lives of 17 people with nine injured and the toll could rise. Deputy Chief Fire Officer Sunil Choudhary told ANI, "The fire has been doused". 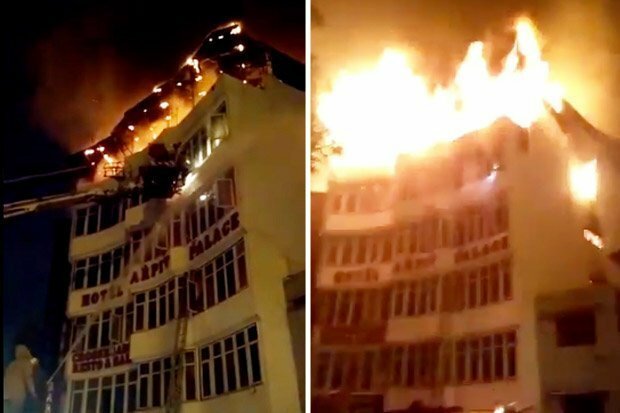 The inferno was reported in the early hours of Tuesday, with videos showing the top floors of the building consumed by flames. According to reports, 27 fire tenders have been pressed into action. "As per information gathered from the site, it reveals that fire broke out in the second floor at around 3.30am on February 12 due to short-circuit", the official said. Seventeen people have died, a lot of them of suffocation. Thirteen bodies are at the RML Hospital, a senior doctor said.